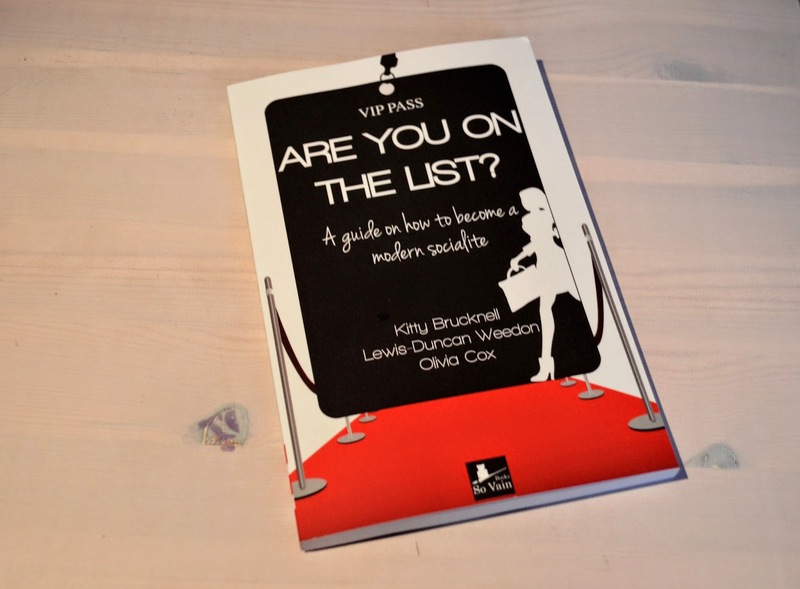 Home » Places To Go » How to become a modern Socialite – Are You On The List? How to become a modern Socialite – Are You On The List? I love presents! I mean, who doesn’t? However I have to say, the best presents are those that are thoughtful. When someone has really thought about what you like or what you’re into rather than picking out a random present. For those of you who are still struggling to buy a fellow aspiring blogger or a young teenager a present, I have the perfect gift for you! Not too long ago, I was given the opportunity to read “How to become a modern socialite – Are you on the list?” (Thank you So Vain Books!). I’ll be perfectly honest and say that I was a little unsure about whether it would be an interesting read for me. I wasn’t even sure about how I felt towards the book as I’m not sure encouraging girls to aim to be a ‘socialite’ is something I wanted to endorse. I read the Press Release for it to get some clarification but I still wasn’t entirely sure whether it was a satirical book or serious one. I decided I would have a read for myself to determine which it was, and so when I got sent a copy of the book I got stuck into it straight away. The book is written by Kitty Brucknell – Singer/songwriter that you may recognise from X Factor, Lewis-Dincan Weedon – Celebrity stylist, make-up artist, model and presenter. Olivia Cox -TV presenter, blogger and model. The book is very easy to read and one where you can easily pick up where you left off. HTBAMS is written in such a way that the authors come across as very down to earth and are able to laugh at their own experiences. For those seriously considering blogging as a full time career there are some brilliant tips that may come in handy; as well as some great insight into what to expect at the scenes where it’s all happening. There are also more serious issues such as body confidence and eating disorders tackled too. On finishing the book I realised that the book wasn’t a get rich quick scheme, it was a wonderful read that informs young girls that hard work gets you places and with the right attitude & confidence, dreams can come true! I have to say I was surprised by how much I enjoyed my commute to work whilst reading this. It’s an ideal little book that would make the perfect Christmas gift for anyone with big dreams and aspires to become a full time blogger (move over Zoella) or a famous fashionista. A brilliant, guide on what it’s really like to be someone that is someone!